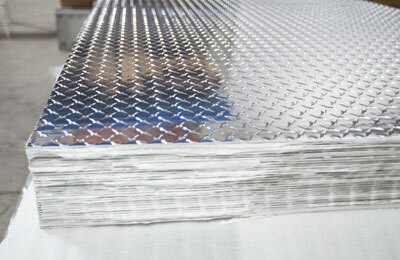 Stainless steel embossing plate is using machine embossing processing on stainless steel plate, the surface of concavo convex pattern or stainless steel plate.Currently, the market has a lot of stainless steel embossed plate. 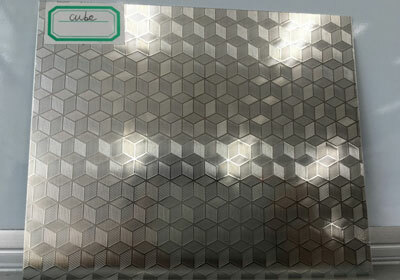 Such as: Ti ice pattern plate, bamboo pattern, imitation cubic lattice pattern, woven bamboo grain, grain, stone etc.. The dimension of the stainless steel embossing plate include: 0.3~3.0*1219*2438mm, 0.3~3.0*1219*3048mm, 0.3~3.0*1000*2000mm, 0.15~5.0*500~1500*Cmm, the main material is 201, 304, 316, 202,etc. Stainless steel coils width: 450,550,730,750,810,1219mm. Alternative pattern is made of bamboo pattern, ice bamboo pattern, diamond, square, grain size plate (Zhu Guangwen), oblique stripes, butterfly pattern, chrysanthemum pattern, cube, free lines, oval pattern, stone, panda, antique checkered pattern, according to customers to order or choose the factory pattern press. The stainless steel embossing plate is bold and bright appearance, surface hardness, higher wear resistance, easy cleaning and maintenance, fight, compression, anti scratch and do not leave fingerprints. Stainless steel embossing plate mainly used in building decoration, decoration, decoration, elevator industrial facilities decoration, kitchen utensils and other stainless steel series. This kind of decoration, not only can prevent rust, but also very beautiful. KTV decoration, stainless steel and other applications are also very extensive!